This is probably what the Red Sea will look like if it wasn’t frozen when Moses kind of parted it. Except that this isn’t the Red Sea and obviously, they are not frozen water, AKA ice. These are snow. Specifically, they are wall of snow found along the Tateyama Kurobe Alpine Route in Japan. 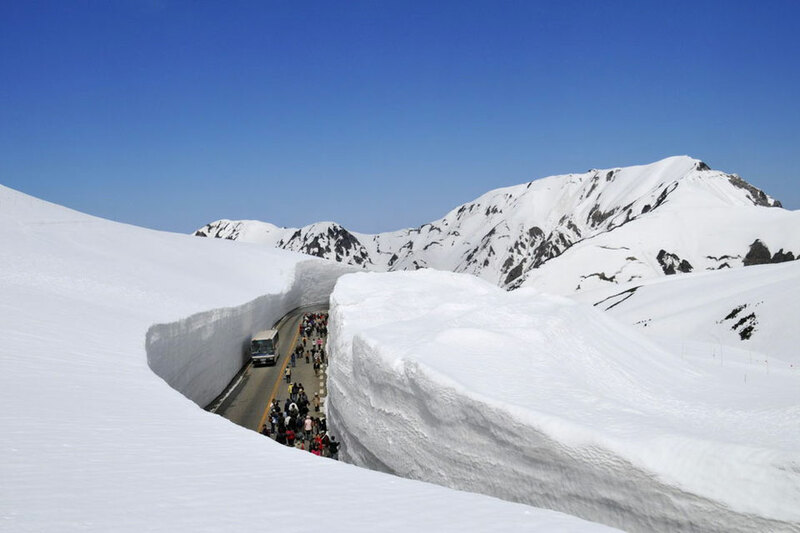 Tateyama Kurobe Alpine Route stretches some 96 kilometers (56 miles), high on top of the North Alpine mountains. It is also dubbed the “roof of Japan” that connects Toyama and Shinano Omachi. What you see here is essentially a heavily snow covered locality that had snow expelled to expose the otherwise covered winding road. And yes, this place has that much of snow. 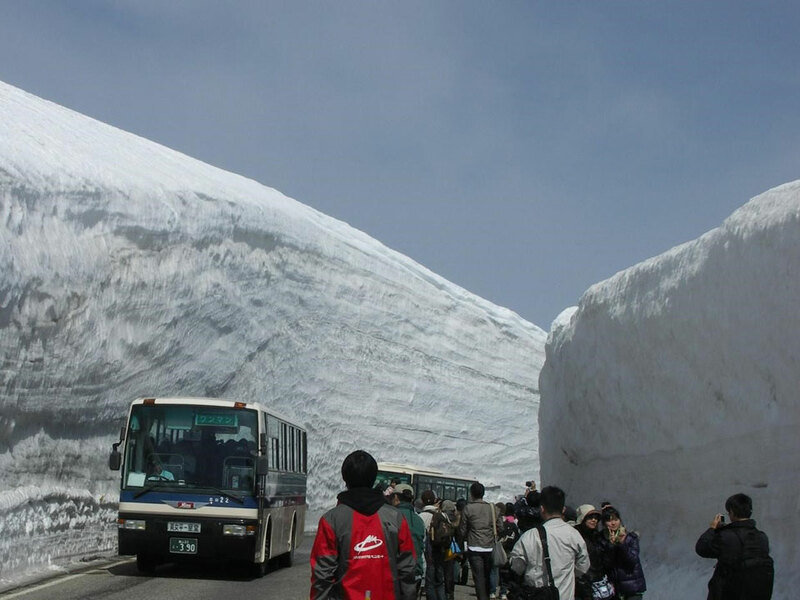 In fact, Murodo-daira of Tateyama has the heaviest snow fall in the world that can reaches seven meters (23 feet) on average and the snow mantle over at Otani, which is just five-minute stroll from the Murodo Station, can receive as much as 20 meters (65.6 feet) of snow when snow drifts hit. 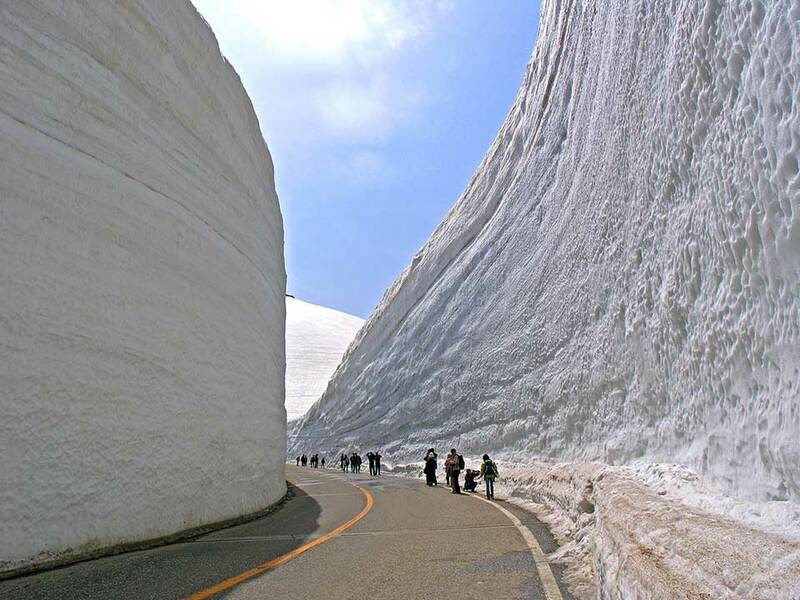 By now, these “snow walls” of Japan (dubbed “snow corridor”) is famous the world over. The images of this breathtaking route went viral a few years ago when I vaguely remember seeing them circulating on the Internet. So, yeah. 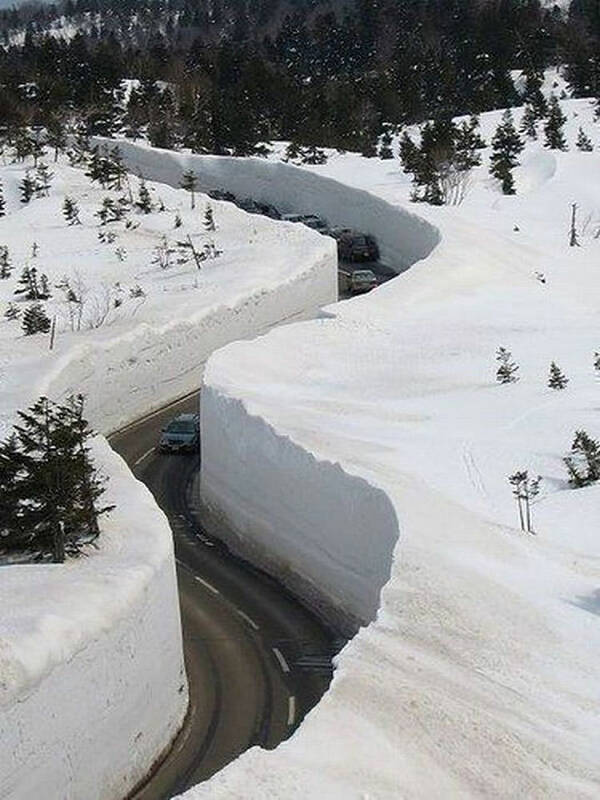 It is an old news, alright, but since we are on the topic of extreme snow fall, we thought why not bring this up. Who knows? 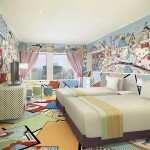 You may want to join the millions of curious visitors who hit up this awe-inspiring location in Tateyama mountain area. 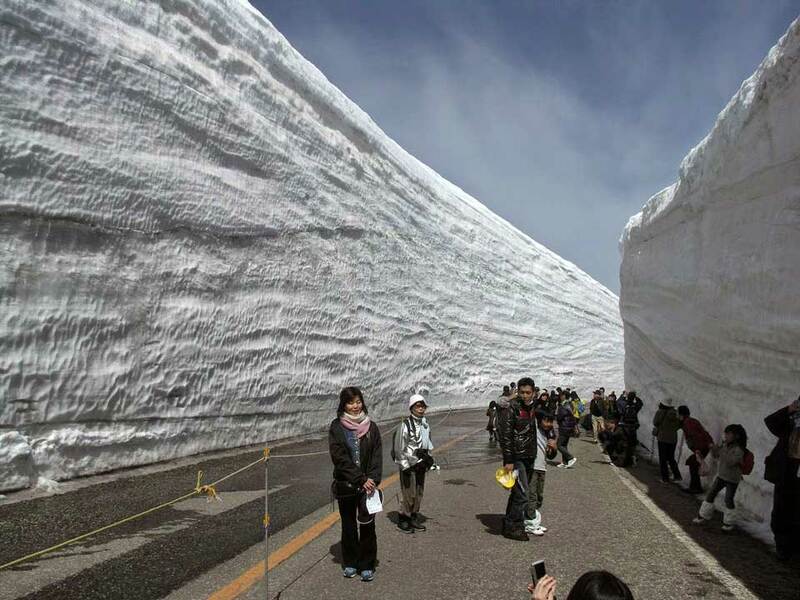 Speaking of which, 500 meter (1,640 feet) long section of the “snow walls” is open to curious sightseers every year between mid-April to mid June. 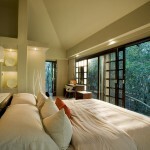 A perfect place to hit up if you miss the cold and snow when Spring takes over, eh? 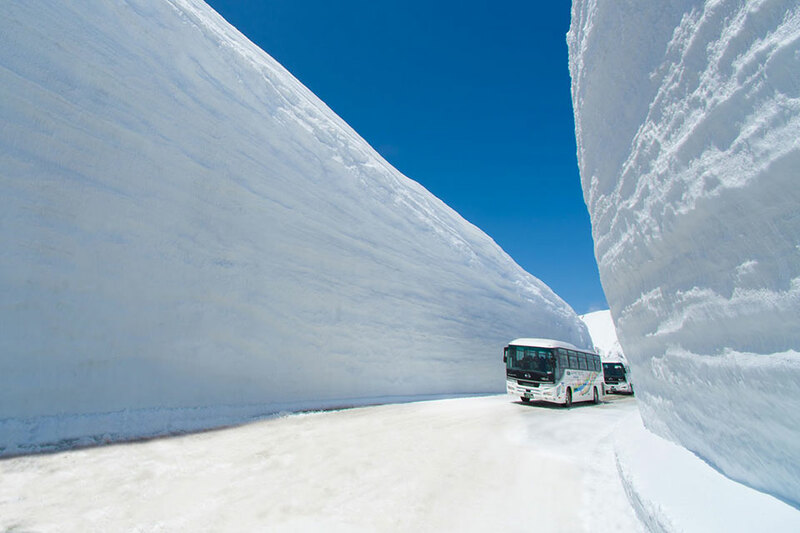 You can find out more about the tour to this almost mystical place on Earth over at the Tateyama Kurobe Alpine Route’s official website. 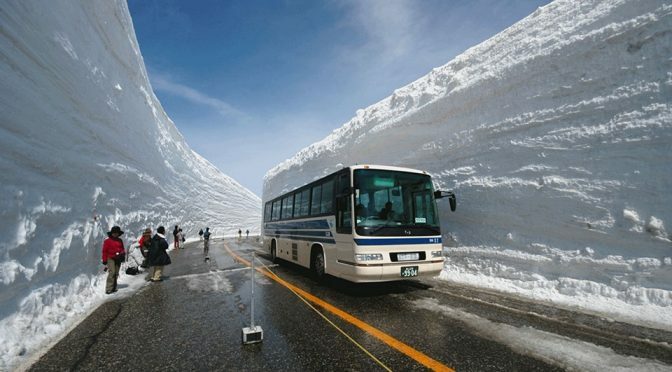 Additional image: Tateyama Kurobe Alpine Route. 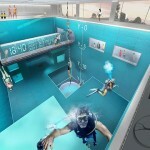 Images and source via Twisted Sifter.